Stephen Harper’s Conservatives have strengthened military, business and diplomatic ties with one of the most misogynistic and repressive countries in the world. Saudi Arabia is ruled by a monarchy that’s been in power for more than seven decades. The House of Saud has outlawed labour unions and stifled independent media. With the Qur’an ostensibly acting as Saudi Arabia’s constitution, over a million Christians (mostly foreign workers) in the country are banned from owning bibles or attending church. The Conservatives have been extremely deferential towards the Saudi leadership. When Crown Prince Nayef bin Abdul-Aziz Al Saud died in June foreign minister John Baird gushed with praise. “Saudi Arabia has lost an honourable man of great achievement who has dedicated his life to the security and prosperity of the people of Saudi Arabia.” In fact, Nayef bin Abdul-Aziz Al Saud, interior minister for three and a half decades, was considered a fairly conservative member of the Al Saud family who resisted the weakening of Wahhabi religious doctrine as a threat to the monarchy’s grip on power. When defence minister and deputy premier Crown Prince Sultan bin Abdulaziz Al Saud died in October 2011 Baird issued a similar assessment. “The Kingdom has lost a man of great achievement who dedicated his life to the well-being of its people.” Appointed defence and aviation minister in 1962, Prince Sultan bin Abdulaziz Al Saud was a leading figure in the country for five decades. He pushed a stridently anti-communist position and was implicated in a number of major corruption scandals. The Conservatives released two press releases praising the lives of Saudi princes but they stayed quiet when the regime took the lives of “Arab Spring” protesters. 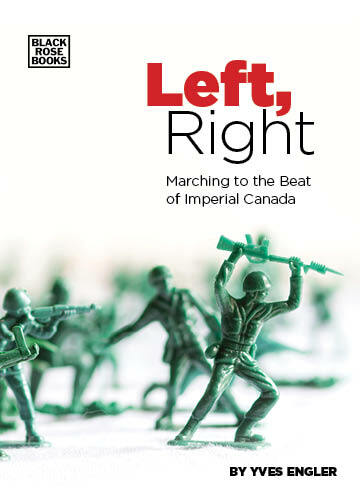 This author could find no direct Canadian criticism of Saudi Arabia’s role in crushing the democracy movement in Bahrain. Nor did the Conservatives release any statement about the Saudi’s domestic repression. Alongside the upsurge in protest across the region, small numbers demonstrated in Riyadh and other major centres. They were quickly disbursed in what Amnesty International called a new “wave of repression” that saw hundreds of reformists arrested and imprisoned after “grossly unfair” trials. Similarly, when the long oppressed Shia Muslim minority in the eastern province of Saudi Arabia began agitating for change many were arrested or killed. Not a single one of the 300+ statements released by Foreign Affairs since the beginning of 2011 has concerned the repression in Saudi Arabia. Even when the monarchy targeted Canadians, the Conservatives generally stayed silent. For example, when Shaykh Usama Al-Atar led a group prayer in October 2011 the Edmonton-based Shia imam was beaten and arrested by police in Medina, but the Conservatives said little. “We were a bit surprised the Canadian government hasn’t taken the role that it should and there’s no support for him right now in Medina where he needs it most. He needs to be visited by consular officials,” Massoud Shadjareh, spokesperson for the Islamic Human Rights Commission told CTV’s Canada AM. Al-Atar’s experience reflected a pattern. The Conservatives refused to act when 21-year-old Nazia Quazi’s father forced her to remain in Saudi Arabia by taking her Canadian and Indian passports as well as other identification. Nazia’s case was similar to that of long-time Montréaler Nathalie Morin whose Saudi husband refused to let her and their three Canadian-born children leave the country. The Conservatives said or did little. What explains the Conservatives refusal to confront the Saudis? The answer is support for the monarchy’s pro-US foreign policy and the Saudi monarchy’s growing role in international financial markets. Much to Washington’s pleasure, the Saudi’s led opposition to the “Arab Spring” and are aggressively hostile to Iran. The Kingdom is also home to a number of the world’s biggest investment funds. In a bid to entice investment in Canadian companies ministers Peter Van Loan and John Baird (as well as former prime ministers, turned corporate lobbyists, Brian Mulroney and Jean Chrétien) recently visited Prince Alwaleed, 95% owner of the $20 billion Kingdom Holding Company. Under the Conservatives there has been growing diplomatic, business and military relations between Canada and Saudi Arabia. Conservative ministers Lawrence Cannon, Gerry Ritz, Peter Van Loan, John Baird, Ed Fast (upcoming) and Stockwell Day (twice) visited Riyadh to meet the king or different Saudi princes. These trips spurred various business accords and an upsurge in business relations. Bombardier and SNC Lavalin, for instance, have received some $600 million in Saudi contracts in recent years. The Conservatives also developed military relations with the Saudis. For the first time, on January 10, 2010, HMCS Fredericton participated in a mobile refueling exercise with a Saudi military vessel. In another first, Saudi pilots began training in Moose Jaw, Saskatchewan and Cold Lake, Alberta in 2011 with NATO’s Flying Training in Canada (NFTC). Dubbed “the benchmark for military flying training”, NFTC is run by the Canadian Forces and Bombardier. At the start of 2010 the government-backed Canadian Association of Defence and Security Industries sent its first-ever trade mission to Saudi Arabia. It was successful. According to a February 2012 Postmedia report, in 2011 the Conservatives approved arms export licences worth a whopping $4 billion to Saudi Arabia. Canadian small arms, ammunition as well as various weapons systems and components, have made their way to Saudi Arabia. But, Canada’s main export to the Saudis are the wheels of war. A General Dynamics factory in London, Ontario has produced more than a 1,000 Light Armoured Vehicles (LAVs) for the Saudi military, which used the vehicles when their forces rolled into Bahrain in March of last year. Already equipped with hundreds of Canadian-built LAVs, the Saudis contracted General Dynamics Land Systems for another 724 LAVs in 2009. Since the vehicles were scheduled to be delivered weeks after the invasion of Bahrain, the Ottawa-based Rideau Institute called for a suspension of further arms shipments to the Saudis. The Conservatives ignored the call and as mentioned they approved $4 billion worth of arms exports in 2011, which included many more (Canadian Commercial Corporation facilitated) LAVs. Canada didn’t just sell the vehicles to Saudi Arabia. A Canadian colonel, Mark E.K. Campbell, also leads General Dynamics Land Systems Saudi Arabian LAV support program.